A chance archaeological discovery made during earthworks in the area of Brunswick, Germany, is generating heated debate in theological circles. Construction workers were preparing the earth to lay foundations for a new apartment block when the ground fell away revealing, in the words of the foreman, “an ugly great ditch”. Archaeologists and philosophers were quickly brought in to examine the hole. 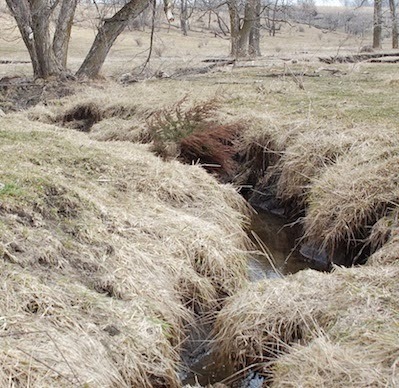 While they are still awaiting the results from soil tests, most agree that it is indeed the ditch written about by Gotthold Lessing in his 1777 essay.